Author: Taylor, Cora Set In . . . 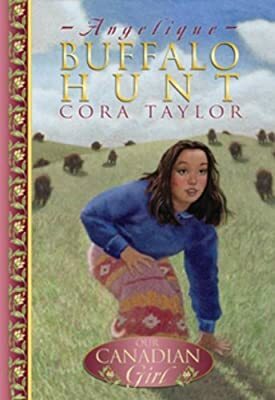 Description: Buffalo Hunt is set in the West, during the waning years of the buffalo hunt. Angelique Dumas is a ten-year-old Métis girl, and this year she gets to be part of the hunt?not with the children, but with the grown-ups. It will be hard work, she knows, and she will have lots of new and important responsibilities. Just how important they are becomes clear on the day Angelique wanders off exploring, and finds herself in the middle of a buffalo stampede.